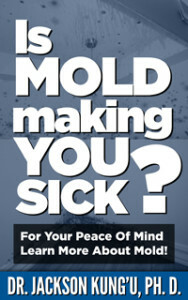 You are here: Home / Sick Building Syndrome / Is mold in your house making you sick? Dr. Jackson Kung'u works for MBL, a laboratory that specializes in identification and enumeration of mold and bacteria commonly detected in air, fluids and bulk samples collected from homes, schools, offices, hospitals, industrial, agricultural, and other work environments. Jackson also provides a unique Mold Training Course on How to Recognize Indoor Mold, Develop Effective Sampling Strategies, Interpret Laboratory Results and how to Control Mold Growth.